URBANDALE, Iowa (WHO) -- The Urbandale Police Station is running out of room for the all the thank you's, prayers, and condolences from the community. One of the largest and latest additions came from students at Des Moines Christian. They dropped off a banner, some cards and their prayers for the family of Officer Justin Martin and the men and women he served with. 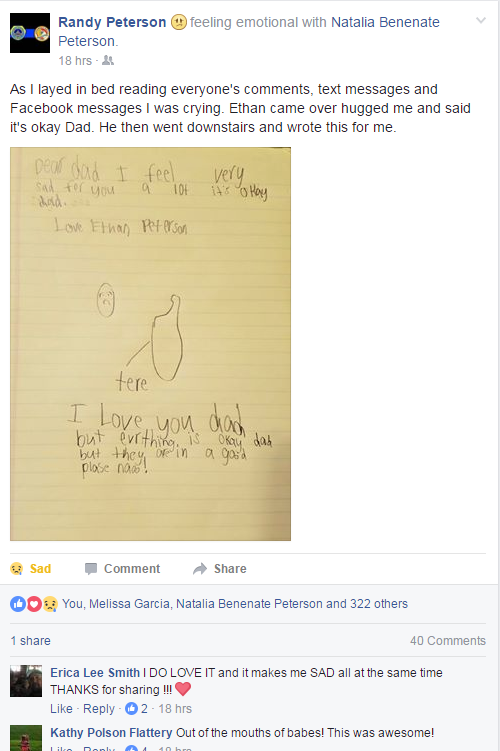 One of the most touching notes came from a 7-year-old boy. This is what he wrote to his father, Urbandale Officer Randy Peterson, after seeing him crying over the loss of a fellow officer. An Iowa police officer shared the touching letter his 7-year-old son wrote him after the death of a fellow officer in an ambush-style shooting last week.